Some movies trailers give me goosebumps and the trailer for Disney's new movie The Finest Hours sure does. 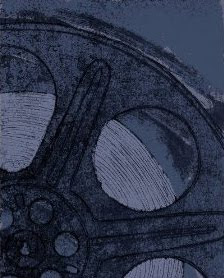 It is a period drama set in the middle of a nor’easter in the Atlantic Ocean in 1952. It tells of two ships, the Pendleton and the Fort Mercer, both oil tankers that split in two in the midst of the storm leaving the crews at the mercy of the Atlantic and the subsequent rescue attempt. Watch the trailer here for yourself and see what you think. Customer reviews of the book version of the story say things like "Gripping Tale of Sacrifice and Heroism." I'm looking forward to the movie version of The Final Hours when it arrives at movie theatres on January 29, 2016. What do you think? 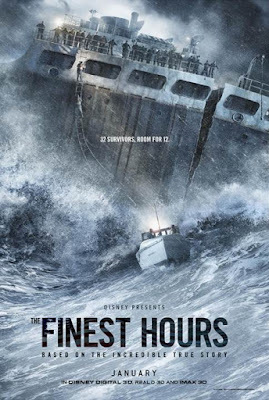 Buy the book version of The Finest Hours on Amazon. Discover a list of natural disaster movie. What a story. It should be interesting to see how this unfolds. Thanks for sharing the details. You are welcome, Fay. I'm looking forward to this film.